For any fundraising charity organization or donation campaign strengthening the relationship with the donors is imperative. 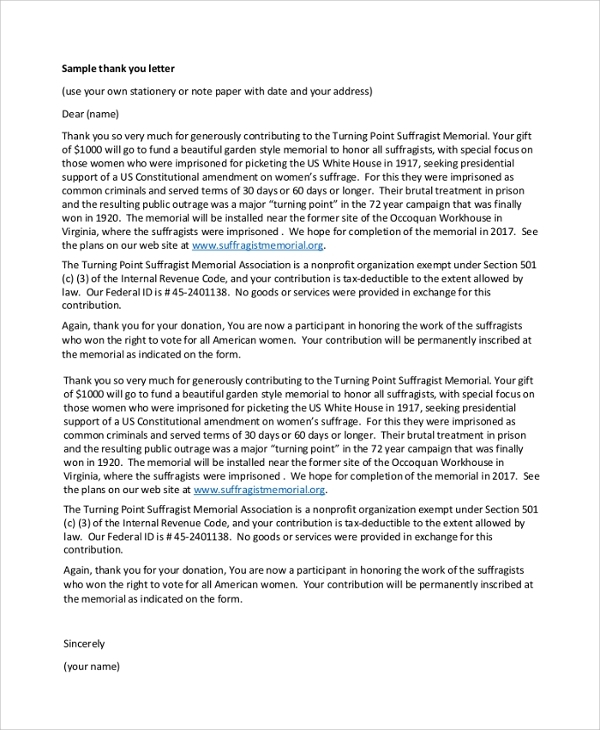 A Sample Donation Thank You Letter will help you in showing gratitude and in marinating a communication for the future fundraising. 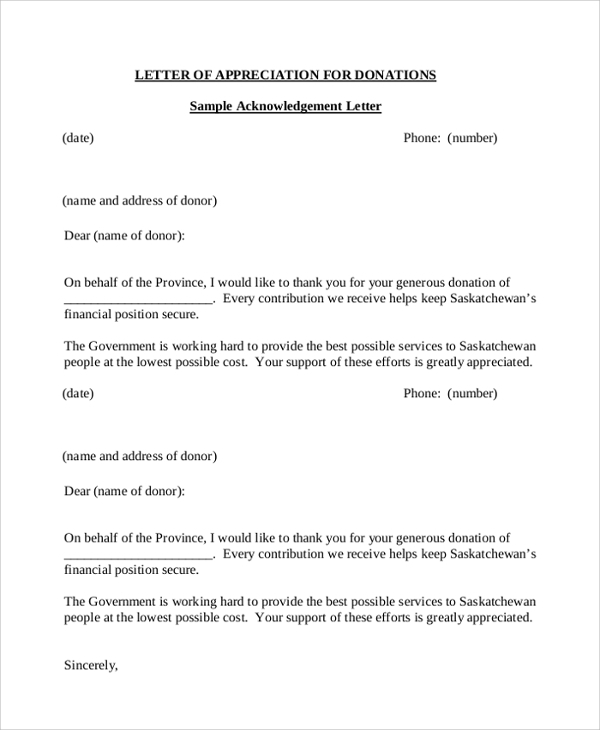 The donation acknowledgment letter will let the donor know that you appreciate their support. The charity thank you cards also serve as a gift. The donation thank you letter will not only assist in keeping the relationship healthy but it can also be used as a receipt for the tax purpose by the donor. The memorial donation thank you letter is for thanking and appreciating the contribution towards the environment and the community. The project supported through the contribution could be informed to the donor through this letter. Other information of the program can be enlightened through this note. The future goals of the organization can be stated to the donor. A generous donation thank you letter is for thanking the donor generously for the contribution. The way the donation will be used could be specified in the note. The vision of the charity could be stated in the letter. The thank you letter can be used for the tax deduction and is informed through the note. The scholarship Donation thank you letter will help the donor known about the scholarship program of the institute in a better manner. 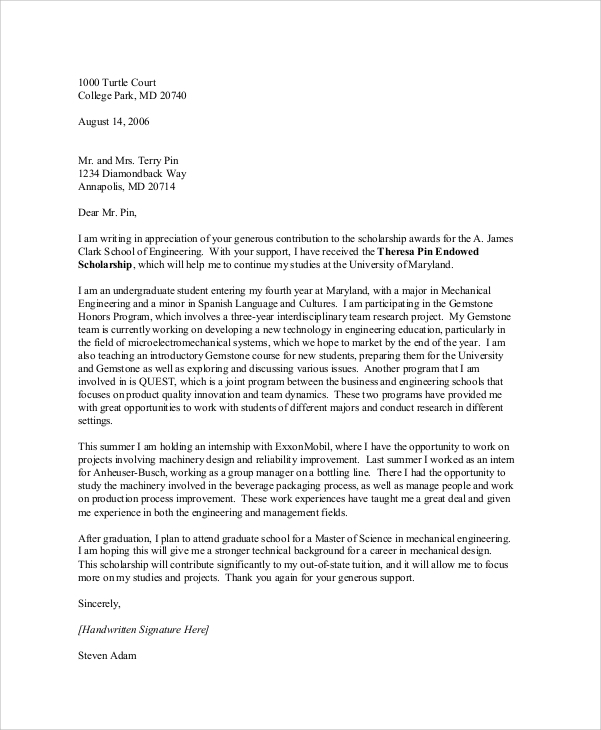 The scholarship donation thank you letter is to offer thankfulness to the donor for the funding. The person receiving the scholarship could tell the donor about themselves and about the research and student project they have participated. The donation appreciation thank you letter is a note to acknowledge the contribution done by the donor. It is to show your gratitude towards them and letting them know how their help supports your organization to be secured. 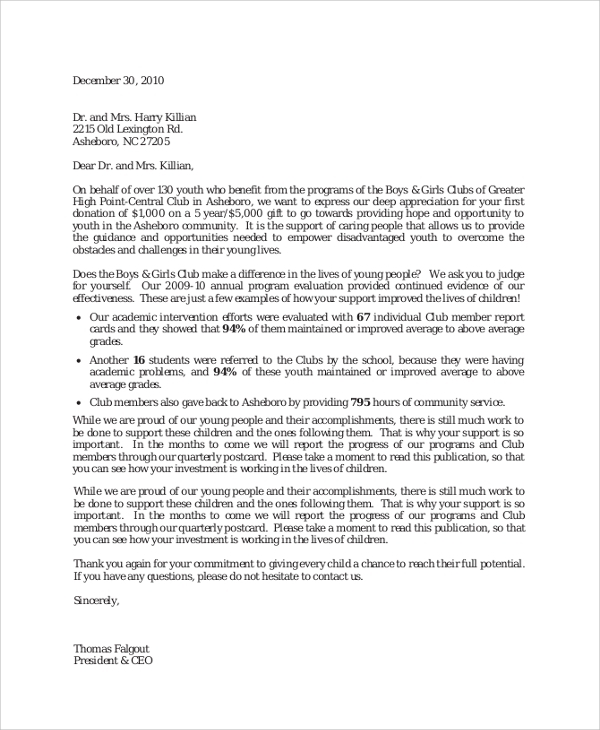 The letter is to make them aware that their contribution is very obliging. Saying a thank you is a simple way to appreciate someone and make them happy. A sample donation thank you letter will aid in expressing your gratitude for the donation. The Thank You Letter will improve and strengthen the social relationship and will have a positive impact on the donor. The sample donation thank you letter template will make it easy to write a thank you note. When do I need a Sample Donation Thank You Letter? Saying a thank you is a virtue. It is vital to be thankful for the support a person offers you. Appreciating the work brings a major change. 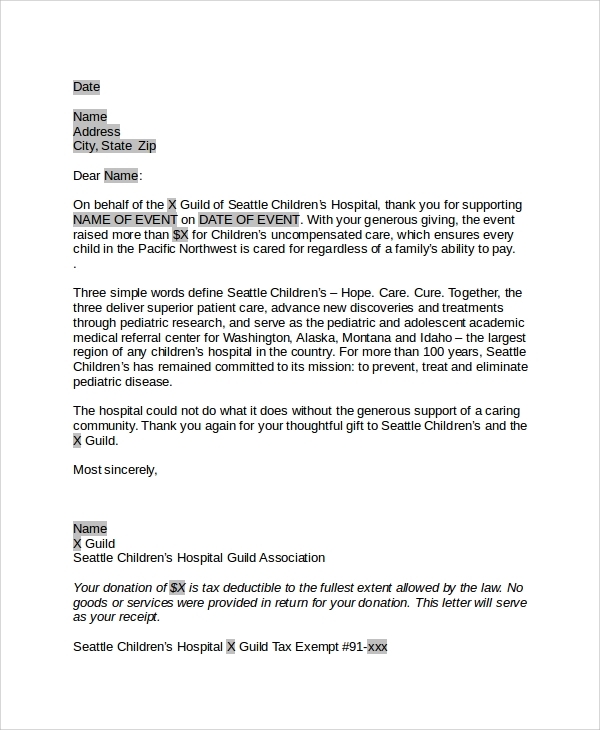 A sample donation thank you letter template will help in writing a thank you note which could be sent to the person who made a donation to your organization. 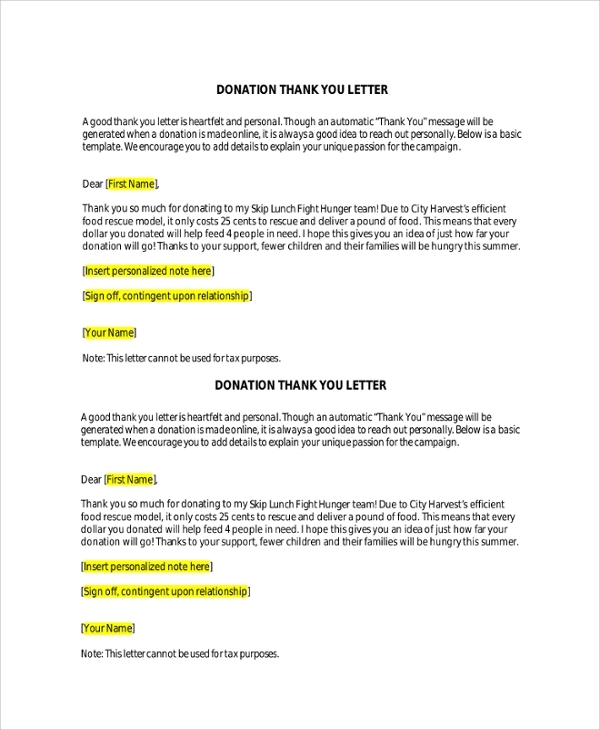 How to create/write Sample Donation Thank You Letter? You can write a simple sample donation thank you letter explaining the donor how their funds are helpful and will be used. The note will make a personal connection. You can download a pre-defined template online. 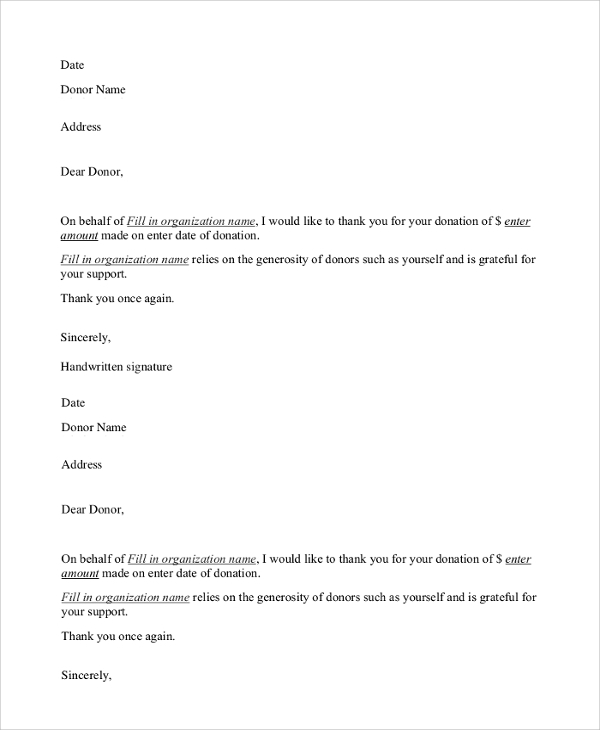 There are several sample donation thank you letter template present online that are downloadable and printable. 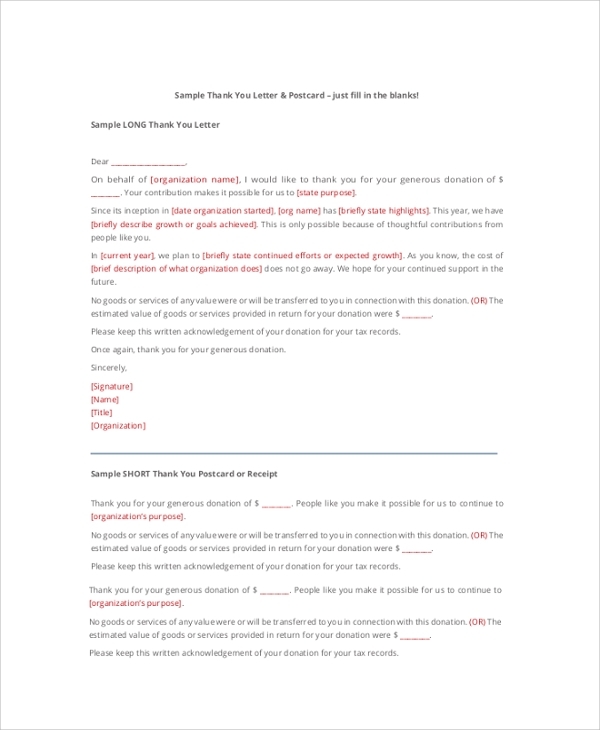 The Sample Donation Thank You Letter template is available in PDF and word format. The documents are print ready and fully editable. The Donation Letter Format holds high compatibility. The success rate of the template is 99.99%. The templates consist of instruction file and are simple to download.